Mummies have never been my thing. Seeing dead people wrapped up in dry dust clothes seems a bit freaky to me. But I went to a new exhibition at the Legion of Honor that really gave me a new apperciation for mummies and the past. 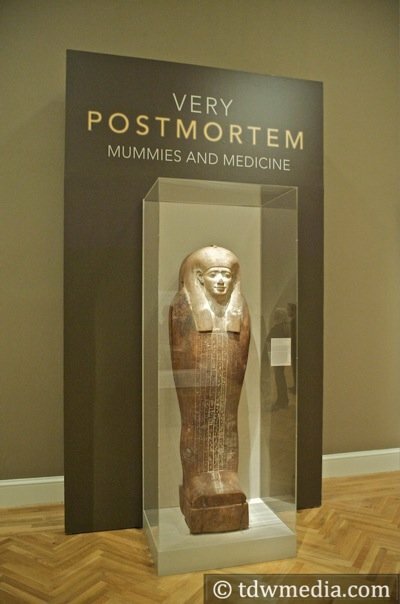 The exhibition is called Very Postmortem: Mummies and Medicine and it examines the ancient practice of mummification through the lens of modern technology. 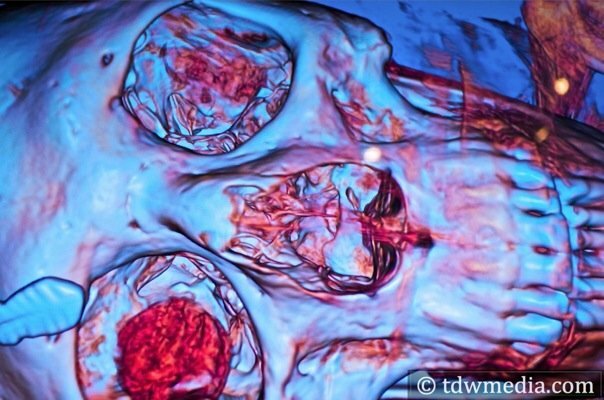 While the mummy of Irethorrou lies in its decorated coffin, visitors can learn how modern mummy research is advanced through the use of high-resolution scanners. That’s the really cool part! Images produced by the Akhmim Mummy Studies Consortium and by scientists at Stanford Medical School’s Department of Radiology and Fovia, Inc. reveal much about Irethorrou and how he was prepared for eternity, including the locations and textures of over a dozen magic amulets that were placed on his body during the intricate wrapping process. It’s much like me getting ready for a night on the town, really! 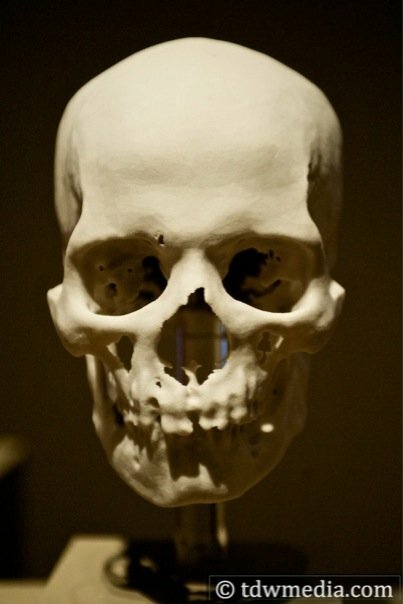 The exhibition includes computer-generated models of the skulls of Irethorrou and of a close relative Ankh-Wennefer. 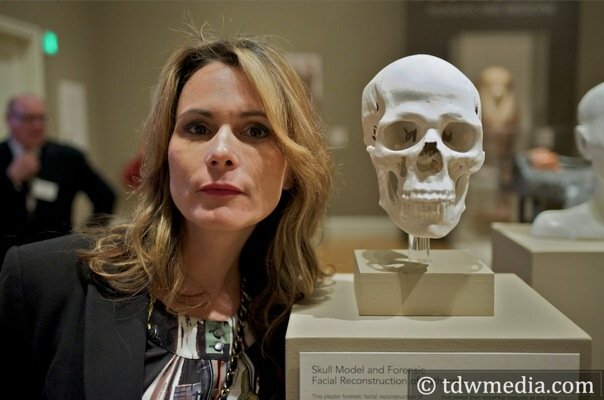 This affords the rare opportunity to reunite members of the same ancient family through forensic portraiture. 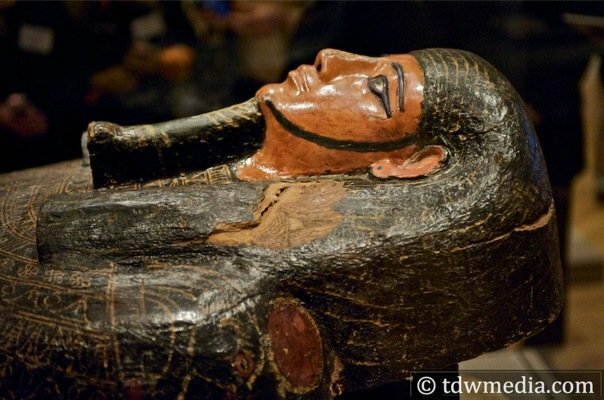 Very Postmortem: Mummies and Medicine includes other “cult of the dead” antiquities that relate to the ancient Egyptian beliefs of death and the afterlife including a beaded mummy mask from Dynasty 26 (7th century B.C. ), an anthropoid coffin from Dynasty 30 (4th century B.C. ), a funerary shroud circa A.D. 180-275, amulets, funerary furnishings and a selection of historical prints that highlight the public’s ongoing fascination with mummies. The exhibition opened on October 31, 2009 and runs through August 15, 2010. 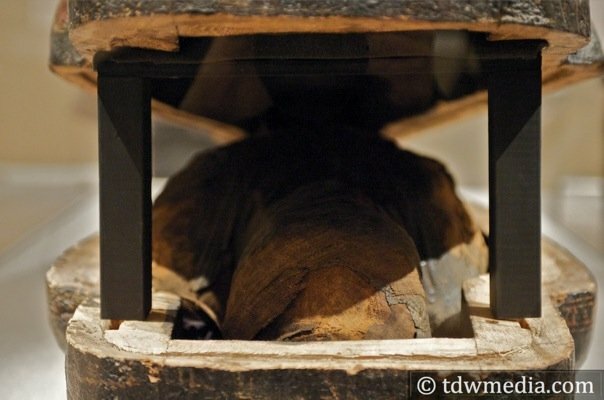 Irethorrou is one of four human mummies and one crocodile mummy in the Fine Arts Museums’ permanent collection. These and other antiquities were among the museum’s earliest gifts, having been given to the collection by founders M.H. de Young, Adolph Spreckels and other donors. The Legion of Honor displays a collection spanning more than 4,000 years of ancient and European art and houses the Achenbach Foundation for Graphic Arts in a neoclassical building overlooking Lincoln Park and the Golden Gate Bridge.